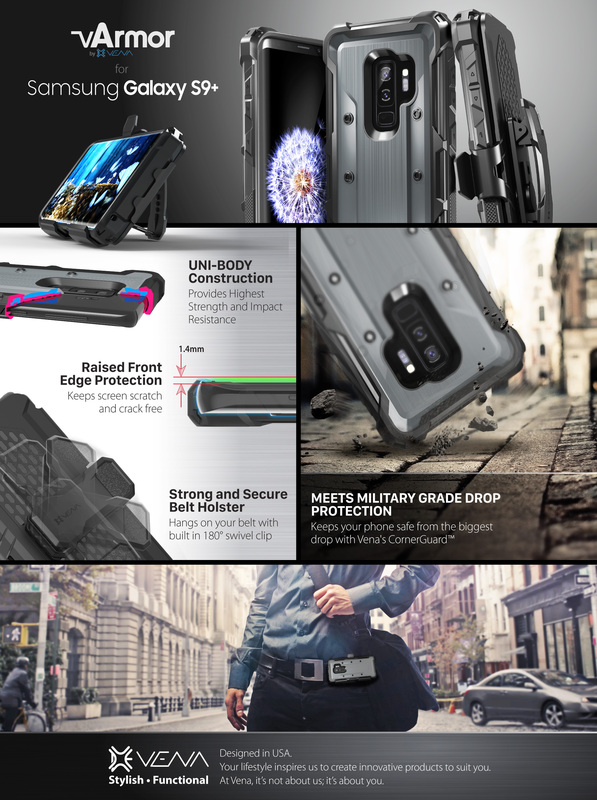 [RUGGED AND PROTECTIVE GALAXY S9+ HOLSTER CASE] All new vArmor Galaxy S9+ holster case is designed to add convenience while providing all-around protection for your Galaxy S9+. Works with wireless charging and also Samsung Pay. [DETACHABLE BELT CLIP SWIVEL HOLSTER] No more discomfort from putting the phone in your pocket. With the detachable belt clip holster, you can now attach the holster to the belt giving you the convenience to carry during work, travel or play. 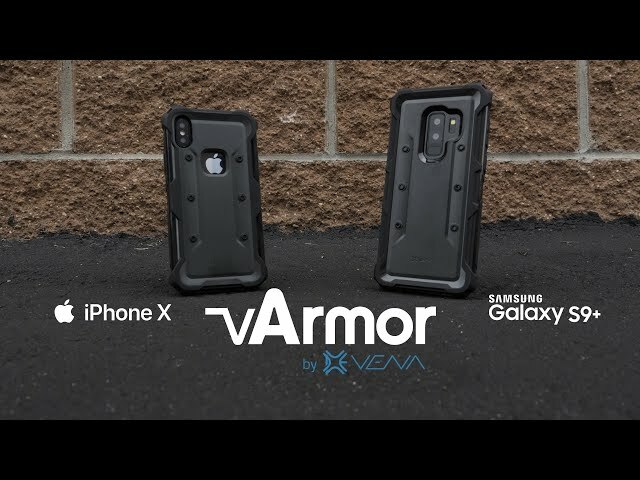 by Gadget Review Read More "Protect Your New Samsung Galaxy S9 and S9+..."
The all-new vArmor Galaxy S9+ holster case is designed to add comfort and convenience without forgoing protection for your Galaxy S9+. Better yet, vArmor works with wireless charging and also Samsung Pay. With the sturdy locking mechanism, vArmor slides into the holster and attaches securely to your belt. The holster belt clip swivels 180 degrees giving you the convenience to carry during work, travel or play. 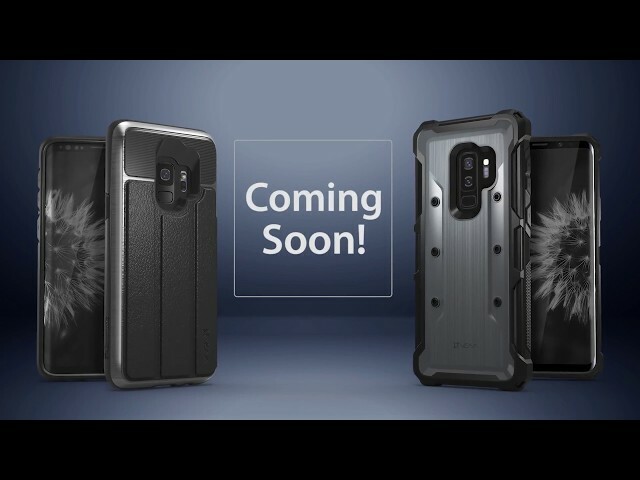 Made from premium polycarbonate (PC) and shock-absorbing thermoplastic polyurethane (TPU), this Galaxy S9+ armor case has been drop tested to meet MIL-STD 810G-516.6, surviving 26 drops from 4 feet high. With CornerGuard TM technology, it disperses the force from shock and impact throughout the case. For me case look good, who loves this tipe of cases (i do like). I also have UAG Plasma and ringke fusion-x case and i think this case is better for protection. It is a little heavier and thicker than the two mentioned, but not much. Case is tempered glass friendly (I use otao uv glue tg). All buttons works perfect and all ports are on the spot where they should be. You can use with holster that you get in package and it is very easy to put on and tako off.